It is your responsibility to read through the entire Uphill Travel Policy and adhere to the guidelines if you plan to travel uphill at Brundage Mountain Resort. 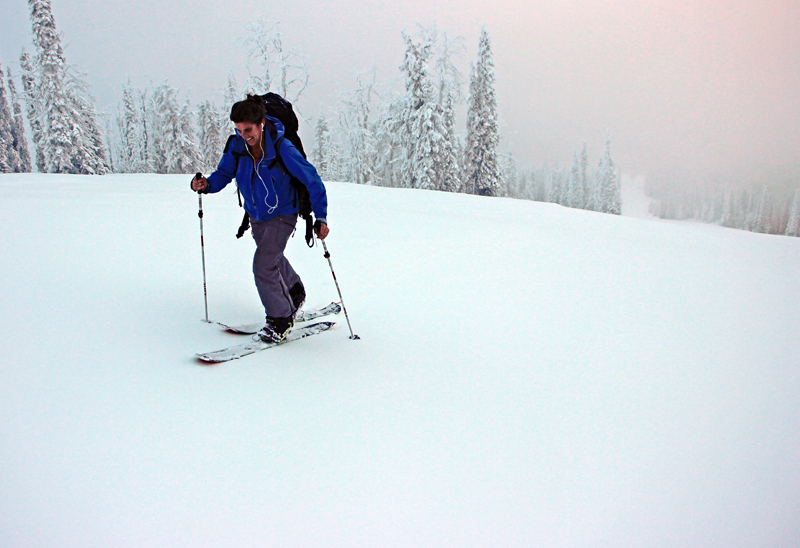 Brundage Mountain’s Uphill Travel Policy allows access for HUMAN uphill travelers outside of operational hours. 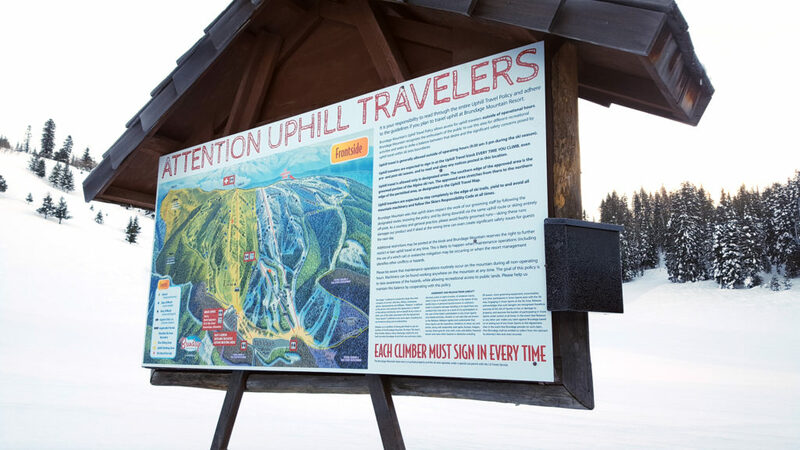 Brundage Mountain recognizes the enthusiasm of the public to use this area for different recreational activities and seeks to strike a balance between that desire and the significant safety concerns posed by uphill travel within ski area boundaries. 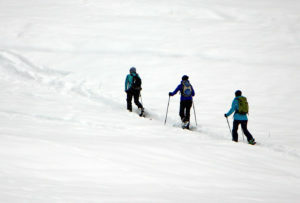 Uphill travel is generally allowed outside of operating hours (9:30 am – 5:00 pm during the ski season). Uphill travelers are expected to sign in at the Uphill Travel kiosk EVERY TIME YOU CLIMB, even pre- and post-ski season, and to read and obey any notices posted in this location. Dogs are not allowed on the mountain. The Uphill Travel kiosk is located at the eastern edge of the upper parking lot, between the plaza and the wooden vault toilet. Uphill travelers are expected to stay completely to the edge of ski trails, yield to and avoid all mountain machinery and follow the Skiers Responsibility Code at all times. 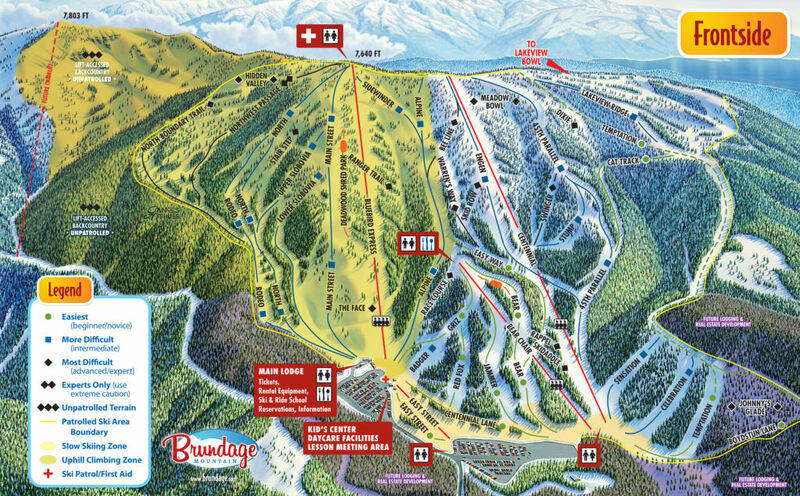 Brundage Mountain asks that uphill skiers respect the work of our grooming staff by following the designated routes, knowing the policy, leaving dogs at home, and by skiing downhill via the same uphill route or skiing entirely off-piste. As a courtesy and general practice, please avoid freshly groomed runs – skiing these runs damages our product and if skied at the wrong time can even create significant safety issues for guests the next day. Additional restrictions may be posted at the kiosk and Brundage Mountain reserves the right to further restrict or ban uphill travel at any time. This is likely to happen when maintenance operations (including the use of a winch cat) or avalanche mitigation may be occurring or any other time the resort management identifies other conflicts or hazards. Please be aware that maintenance operations routinely occur on the mountain during all non-operating hours. Machinery can be found working anywhere on the mountain at any time. The goal of this policy is to raise awareness of the hazards while allowing recreational access to public lands. Please help us maintain this balance by cooperating with this policy. The Brundage Mountain base area is on private property and the ski area operates under a special use permit with the US Forest Service.